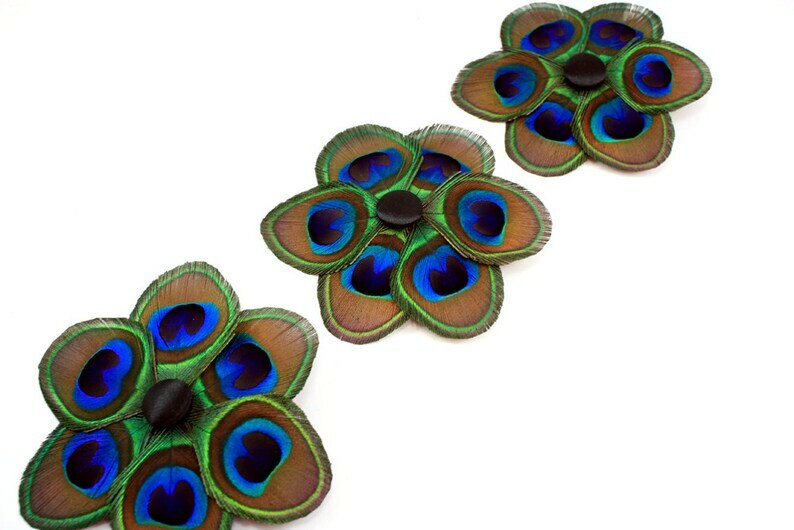 This peacock feather "flower" will complete any bridesmaid ensemble! Six neatly trimmed peacock feathers arranged around a black satin button. Each is attached to an alligator clip for easy fastening.